Credit: American Friends of Tel Aviv University/Itamar Eliakim. A TAU study about the invention was published today in PLOS Computational Biology. 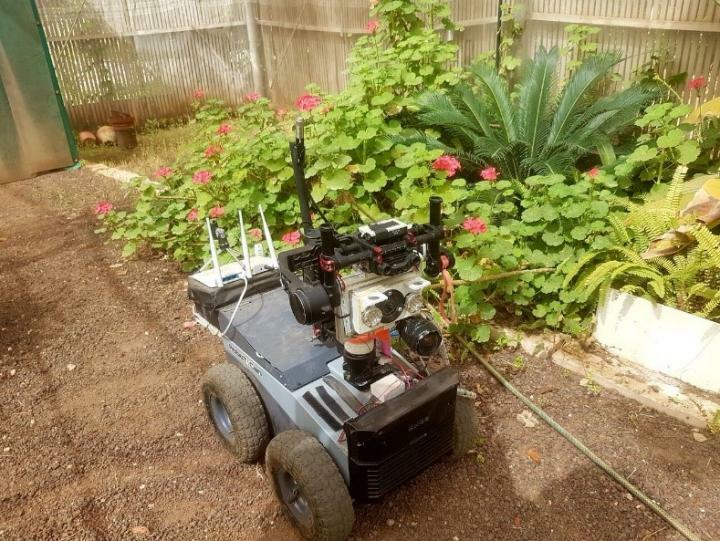 TAU graduate student Itamar Eliakim developed a robot that uses a biological bat-like approach, emitting sound and analyzing the returning echoes to generate a map of space. Prof. Yossi Yovel of TAU's Department of Zoology and Dr. Gabor Kosa of TAU's School of Mechanical Engineering serve as Mr. Eliakim's advisors. "Our Robat is the first fully autonomous, bat-like biorobot that moves through a novel environment while mapping it solely based on echo information. This information delineates the borders of objects and the free paths between them," says Eliakim. "We've been able to demonstrate the great potential of using sound in future robotic applications." See the Robat in action in this YouTube video: https://www.youtube.com/watch?v=LzGGuzvYSH8.